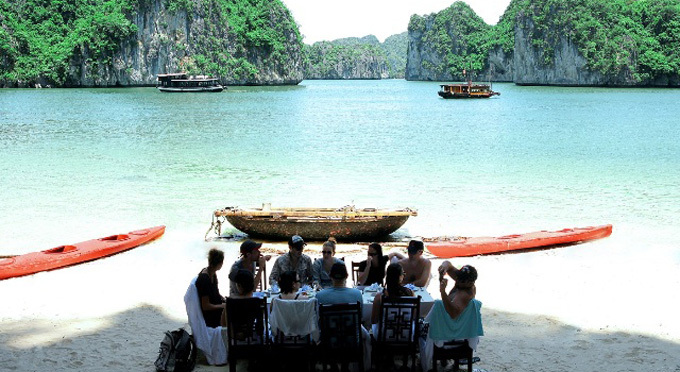 Located in the south of Halong Bay and the east of Cat Ba island, Lan Ha Bay consists of more than 400 spectacular islands in various size and interesting shapes among a 7,000 hectares of total areas. 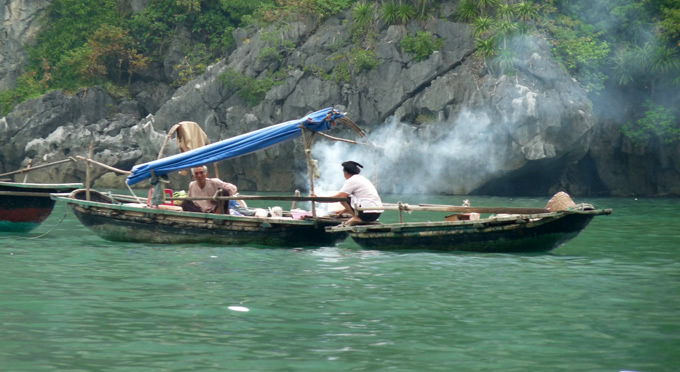 This is an even more authentic version of Halong Bay. Different from Halong Bay, all the islands and islets on Lan Ha Bay are covered by a lush green, from big or even tiny islands. 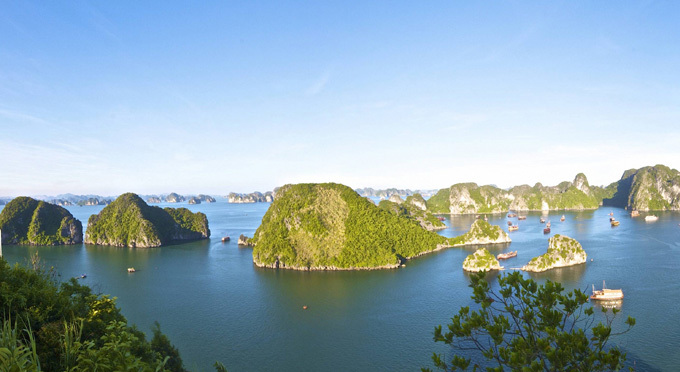 Lan Ha Bay is usually called as Hai Phong's Halong Bay by visitors because of its alluring scenery featured by the pristine beauty and close to nature. Embracing the east of Cat Ba Island(Hai Phong), Lan Ha Bay is absolutely a attraction that little known and discovered by tourists. 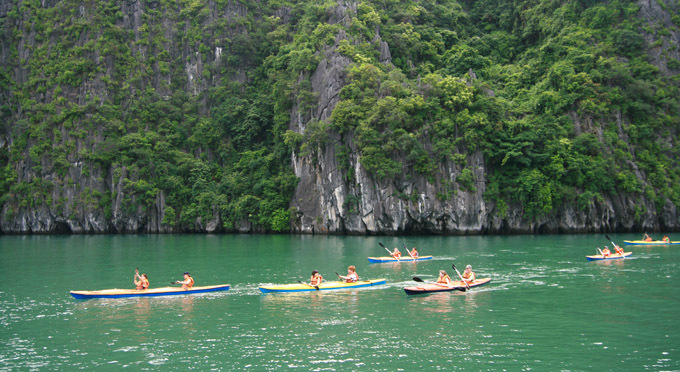 The most interesting feature for visitors to Lan Ha Bay is exploring every corner of the bay by kayak. 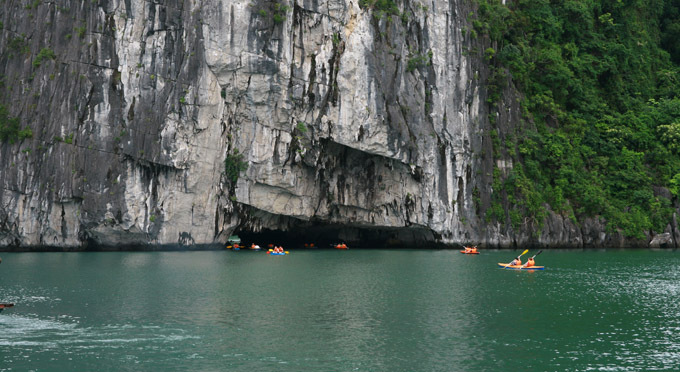 Along with Halong Bay, Lan Ha Bay with over 400 large and small islands is an ideal place for tourists' journey to discover the amazing caves and admire the scenery when kayaking. This activity is very suitable for young adults or adventurous couples since it requires agility, endurance and a bit of ingenuity to sail the boat to the niches surround. 09:00 - 10:00: Transfer from Hanoi to Hai Phong. 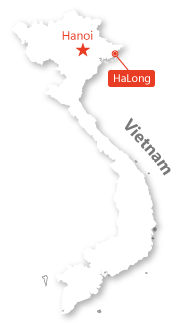 Expected to reach Hai Phong at 12.00. 12:15: After relaxing in the waiting lounge, tender boat will take you to luxury cruise. On board, you will be served Welcome Drinks, the cruise manager will present a mandatory instructions on the safety rules on board and then you will have time to check in, relaxing or take a look around the ship, as well as the charming scenery on the two sides when the ship cruising. 13:15: You will enjoy a special lunch with a rich menu, including fresh seafood and other delicacies. While you enjoy your lunch, the ship will run towards Lan Ha Bay, across Da Chong Islet, where you can see the 100-year French lighthouse. 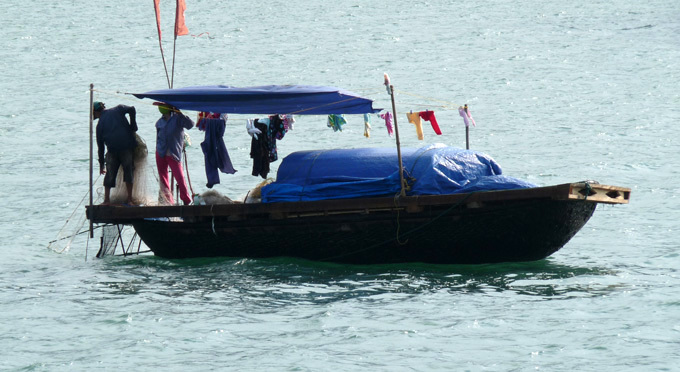 15:00: After lunch, it is also the time the boat passes through Cua VAn Fishing Village to Lan Ha Bay (a part of Ha Long Bay). The area is surrounded by a wide range of limestones with various formations. You will begin the journey to explore Three Peaches Beach, participate in kayaking activities, go swimming or soak in the turquoise waters of the bay. 17:00: Return to the cruise to relax and the ship will continue sailing to the night spot. 17:30 - 18:30: Happy Hour with special drinks promotion (Buy 1 get 1). 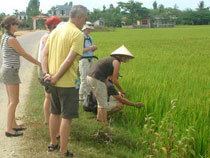 18:00: The chef will guide you how to make traditional Vietnamese food in the cooking demonstration session. 19:15: Dinner is served under the sparkling lights in the cruise's restaurant. 20:45 - 00:00: You can freely enjoy a cocktail or drink at the bar. The cruise bar serves a variety of wines, beers, and other alcoholic beverages. A comfortable place after a day of active activity. You can also request a massage, spa or other activities on board such as watching movies, squish fishing or simply relaxing on the sundeck, watching the starry sky. 6:30 pm: Enjoy the most beautiful moment of the day on Lan Ha Bay in the morning with Tai Chi exercises on the sundeck. Relax with a cup of tea, coffee or a drink anywhere you like on the boat and enjoy the uninterrupted beauties of the bay. 7:00: Light breakfast is served at the restaurant (pastries, tea, coffee). 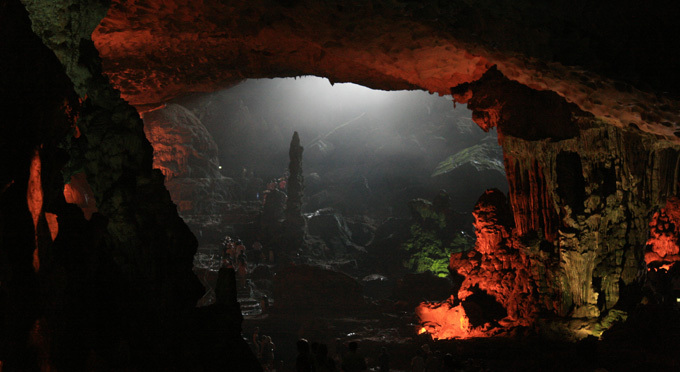 7:30 - 9:15: You then will visit Dark Cave & Light Cave, the last attraction in the program. The caves have wild and mysterious beauty in the middle of the world heritage. 12:10 - 12:30: Departure to Hanoi.